This course covers aircraft maintenance, inspections, and how to effectively manage global challenges facing the industry. The different types of maintenance actions and inspections are examined, along with how these activities are accomplished on a global scale. Topics within the course include: aircraft maintenance basics, global challenges, maintenance manager roles, and safety management. 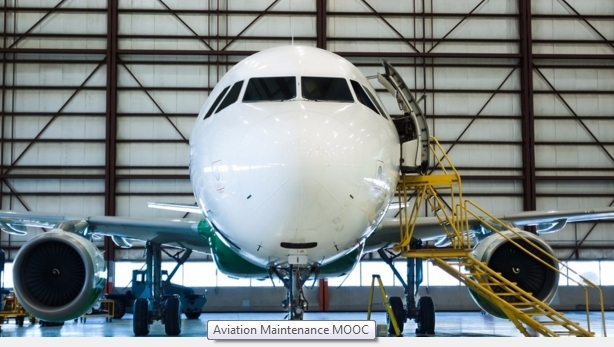 As a student in this course, you will develop an understanding of the challenges facing the aviation maintenance industry, with a realization of how leaders impact the daily operations of these organizations, as well as overcome challenges related to globalization and a multi-cultural workforce. Interesting course which is finally more about aviation safety culture (US and EU) in general and global challenges than about technical maintenance topics. There are numerous links to resources (documents, videos,…). Each chapter begins with a listing of the selected resources, which may contain several hundreds of pages. So, I think what could be improved for further sessions is to add an introduction to each chapter and a structured overview of the resources for better orientation and time-saving learning, as it is not really interesting to study all the mentioned resources in detail. Real implication in the discussion activities isn’t required and can only be observed for some few active attendees, whereas lot of students make only comments like “I agree” to larger contributions. Score of 80 points or more in the module quizzes is easy to achieve, as the questions are about aviation safety culture in general and as there is no limited number of attempts. To me, it was more a personal challenge to have succeeded at the first attempt. At the end of the course, upon successful completion of the mentioned requirements for both modules, you will be given access to the MOOC Completion Form, in which you will enter your name as you would like it to appear on your certificate as well as the email address to which you would like us to send your certificate. The Record of Attendance will be sent to you via email within 30 days after the end of the course.